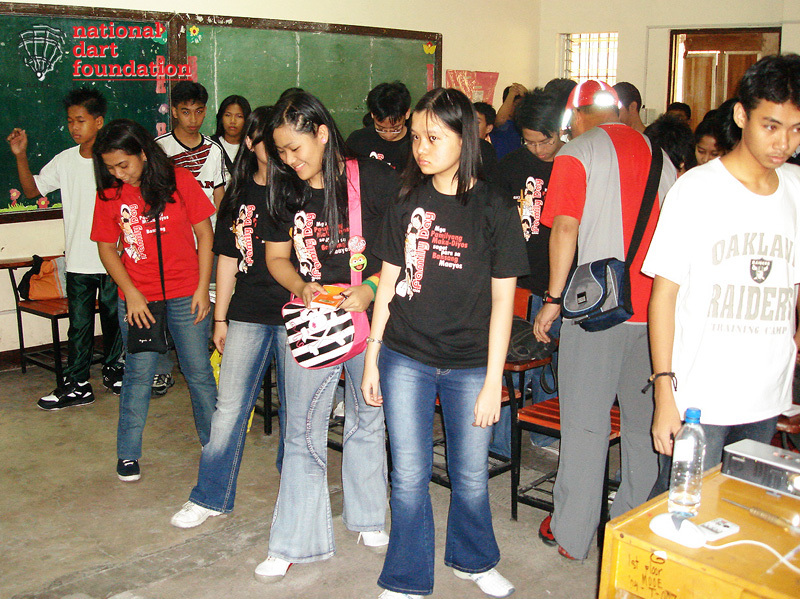 Youthful exuberance marked the 1st Inter-School YJAM Dart Fun Games held at the Mataas na Paaralang Neptali A. Gonzales, Nueve de Pebrero St., Mandaluyong City last January 20, 2007. 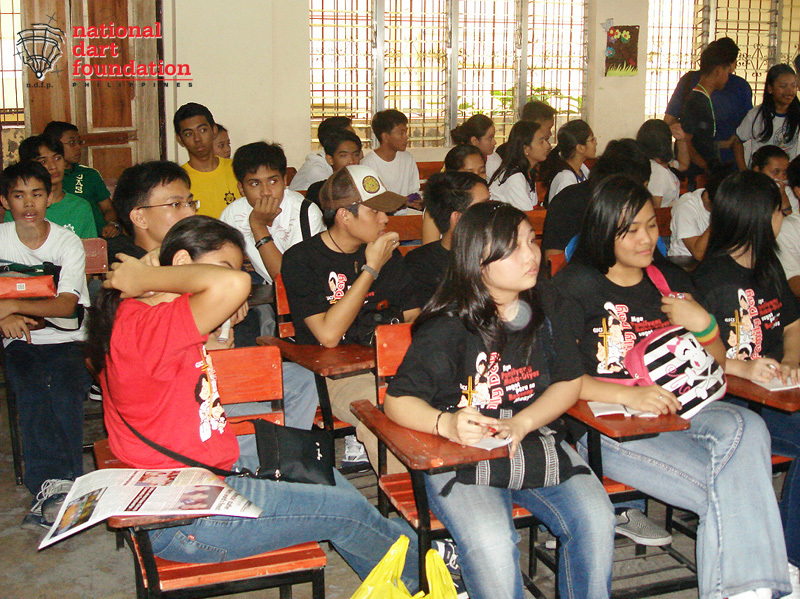 The event was organized by the Young Journalists Association of Mandaluyong (YJAM), an association of aspiring young journalists from the schools of Mandaluyong, headed by sports columnist Lito Cinco. 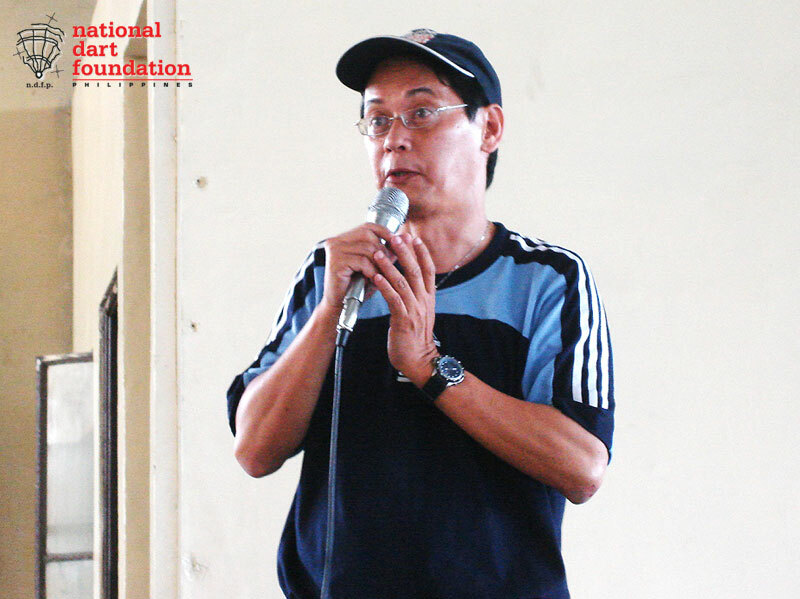 In his opening remarks, Mr. Cinco reiterated his support for youth activities to keep them busy and thereby minimize proliferation of drug addiction. 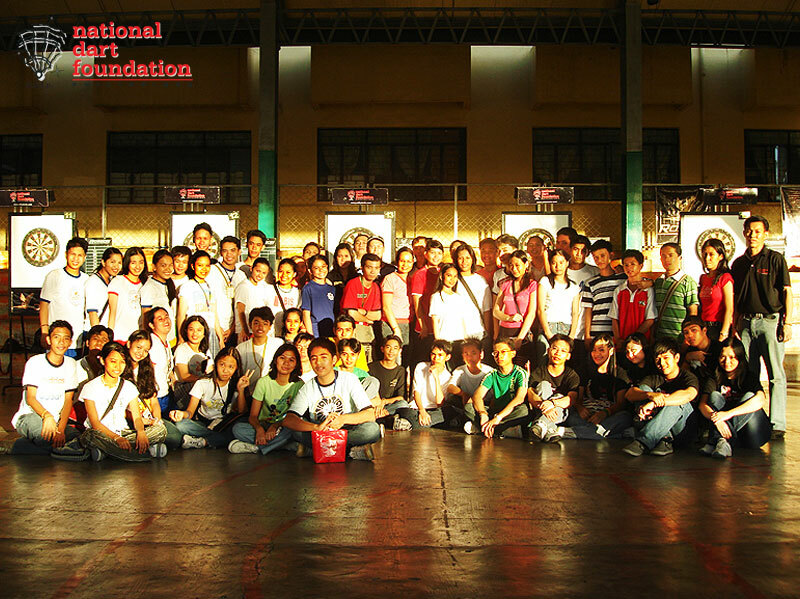 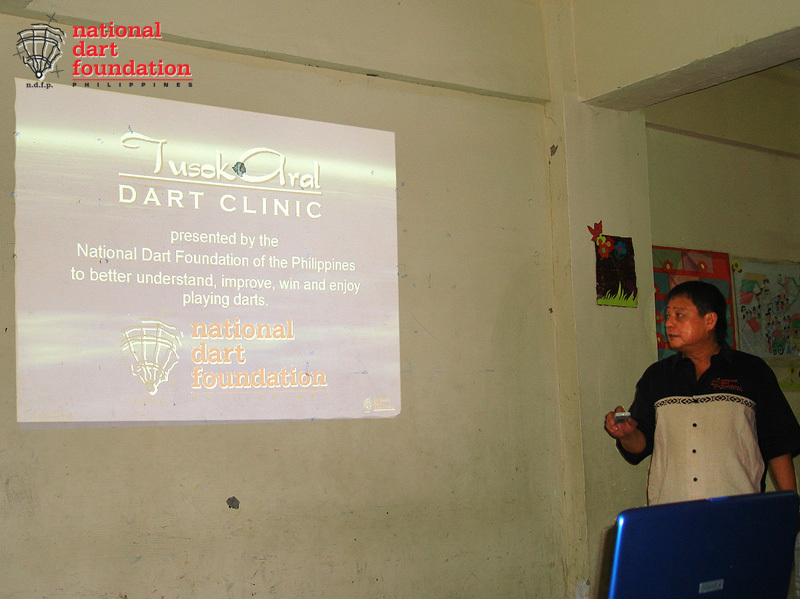 The National Dart Foundation of the Philippines (NDFP) managed the two-phased event starting with the classroom setting Tusok Aral, a Power Point Dart Clinic presentation touching on the very basic technical skills presented by Tito Soncuya, President of the NDFP while NDFP Vice-President Pet Salvador led the hands-on instructional dart session. 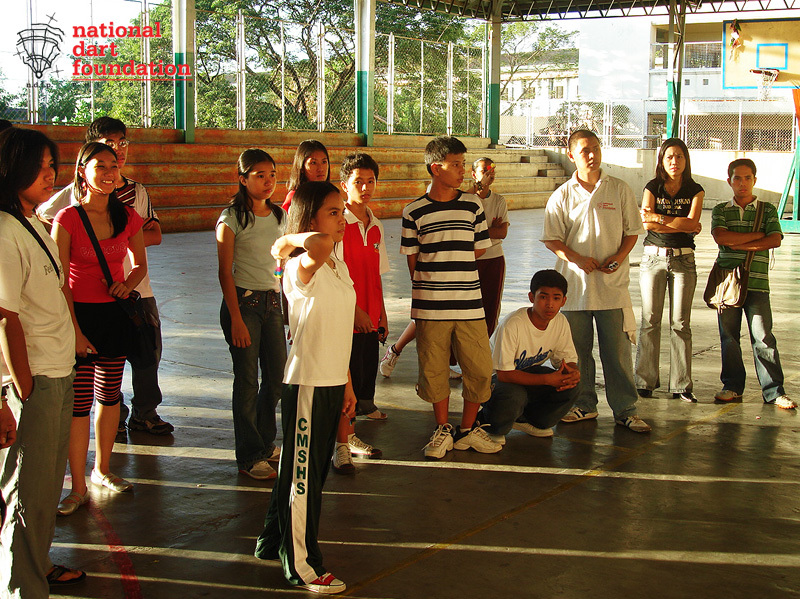 The United Darters of Taytay (UDT) youth players served as the inspirational model for the potential young darters of Mandaluyong. 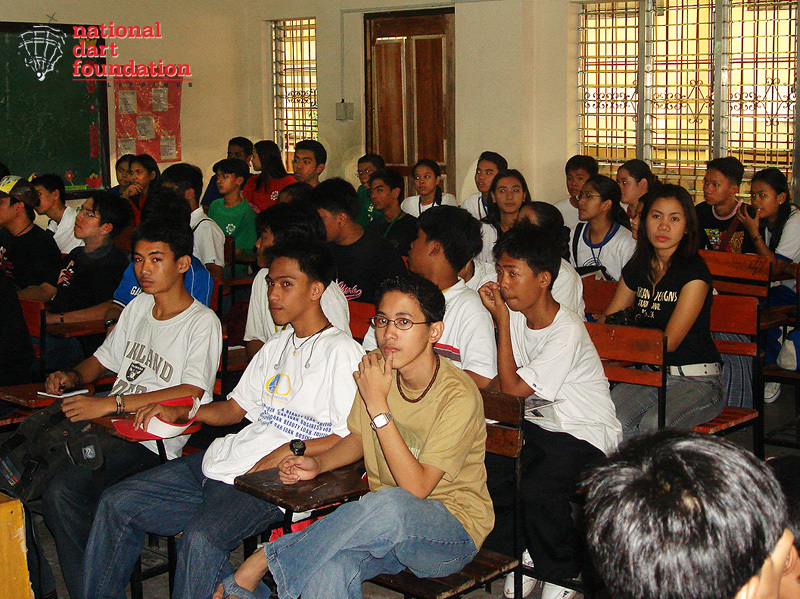 The Tusok Aral ended with an exhibition match of Robson players Boie Parfan, a world cupper, and Noel Malicdem, Darterong Pinoy 2006 champion. 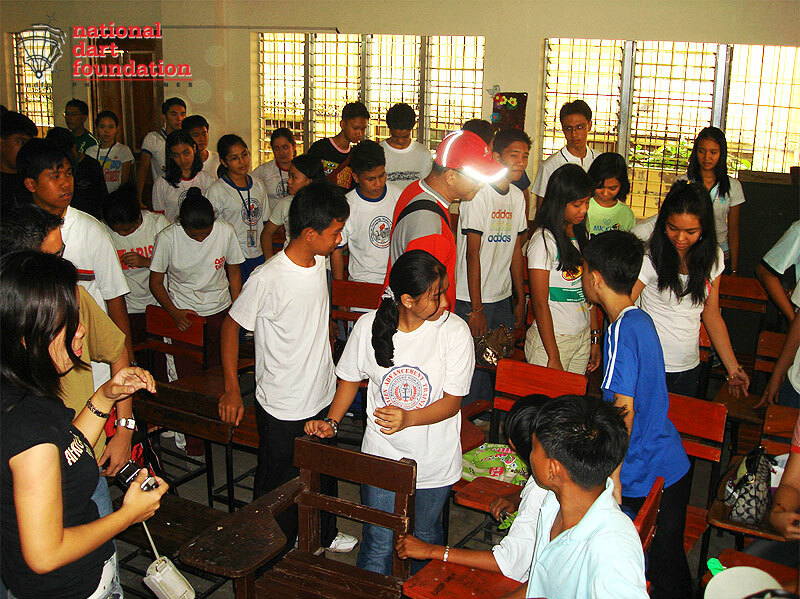 After which, certificates of participation were given to the attendees. 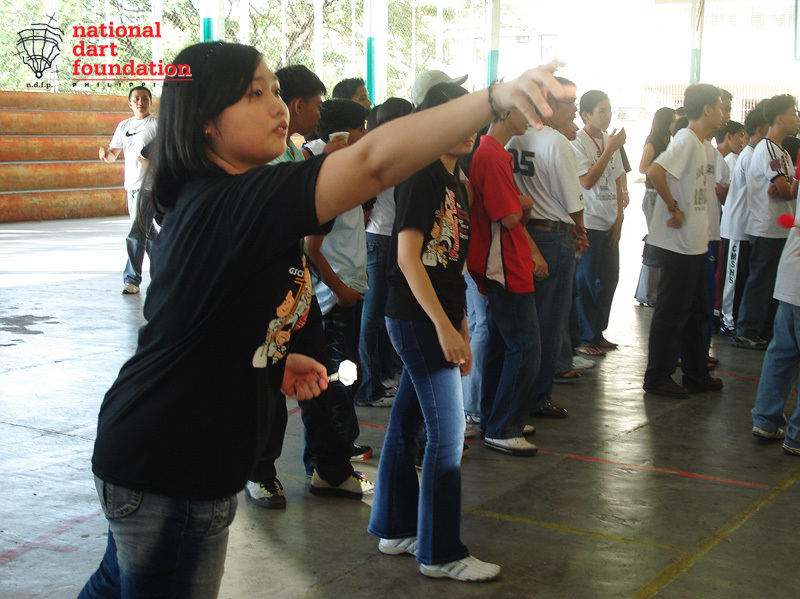 With their new found knowledge and understanding of darts, the attendees were all gung ho for the 2nd phase of the event which was the team inter-school tournament and the individual honors. 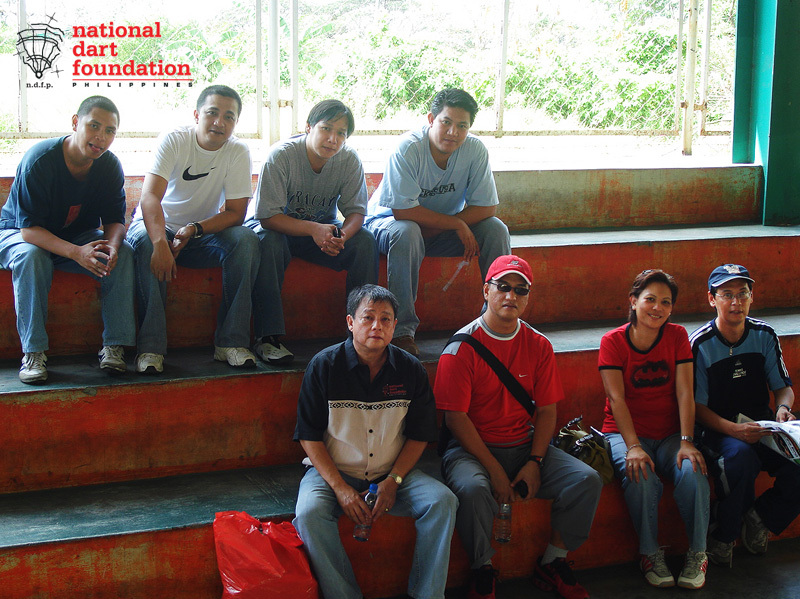 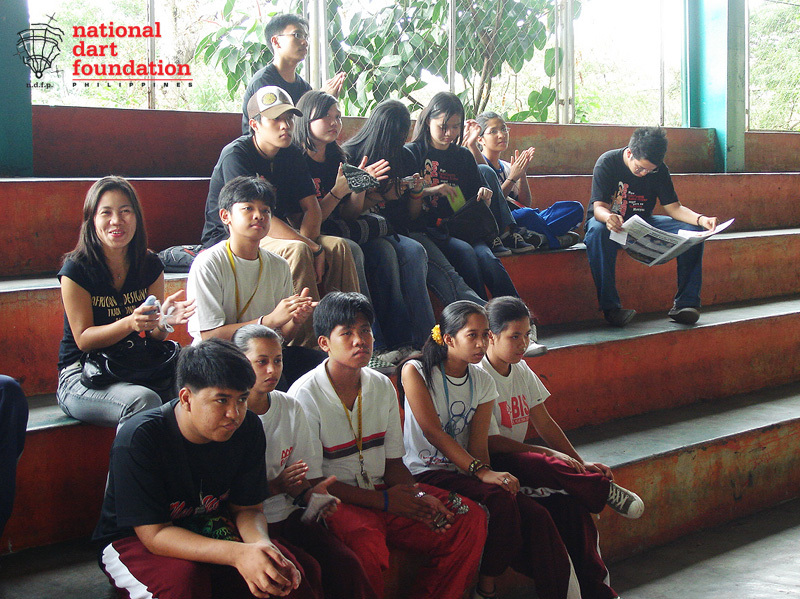 Ritchie Gannaban, NDFP National Coordinator, supported by Marvin Orlina and Ryan Suarez, supervised the tournament. 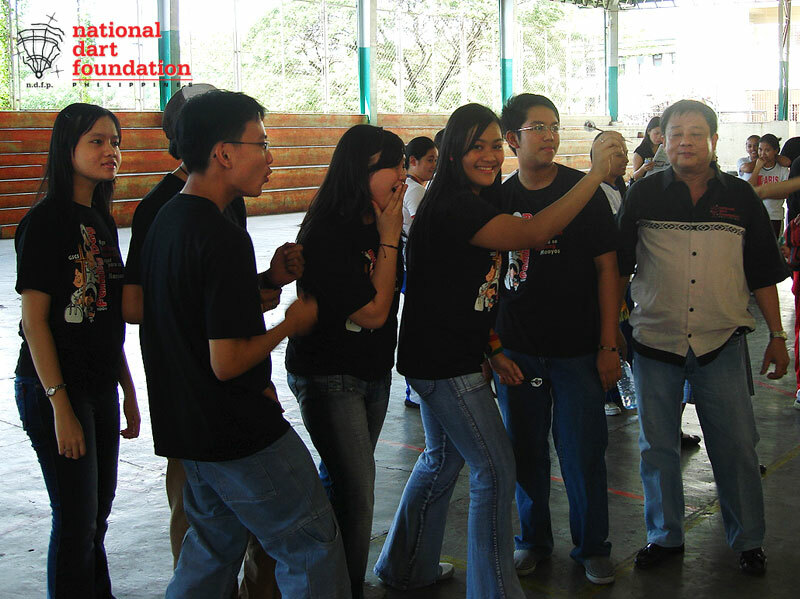 The City of Mandaluyong Science High School composed of team members Shane Cruz, Janine Dizon, Keith Francisco, Paul Jorge Mimay, Jacob Ron Murillo and John Dell Mearsk Soriano won the team championship defeating the Isaac Lopez Integrated School. 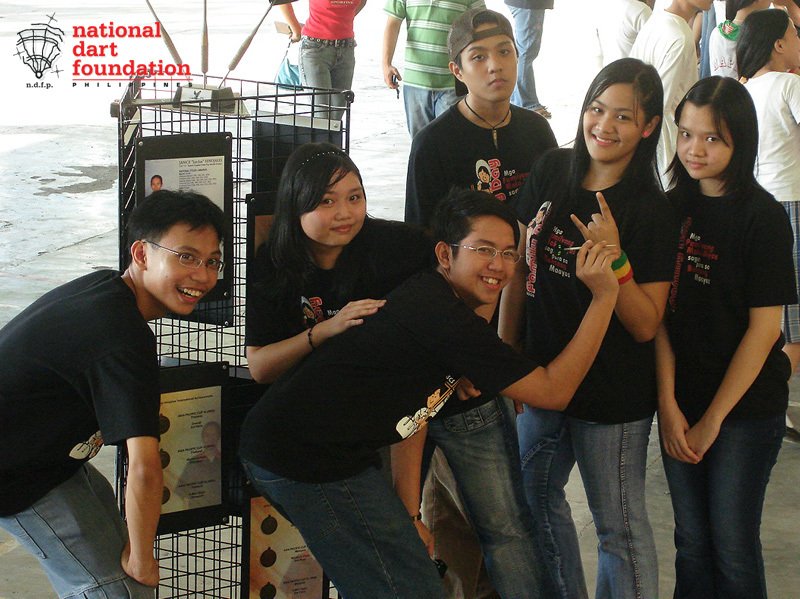 Rizal Technological University Laboratory High School placed third. 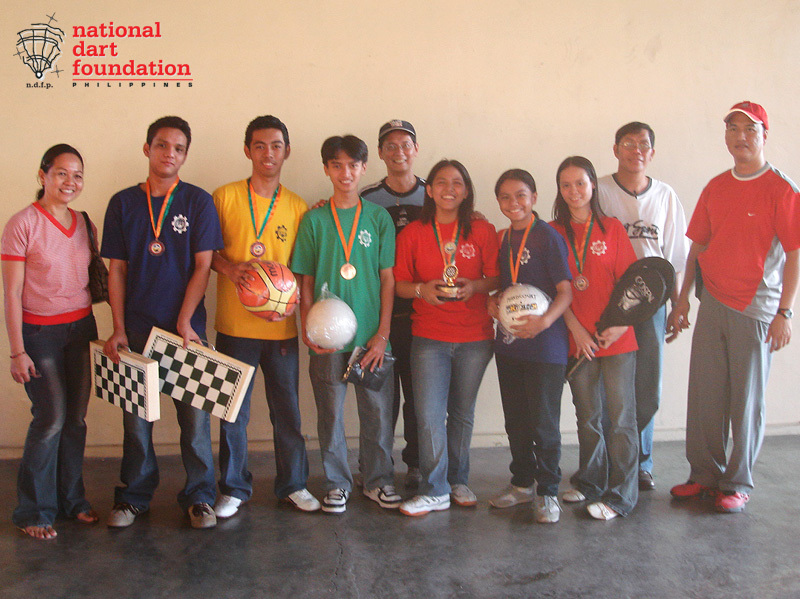 Jeremy Galang of Rizal Technological University Laboratory High School won the male individual event from a field of twenty-four (24) players while Lyra Grace Yoro of Good Shepherd Christian School (GSCS) bested twenty (20) other players to win the female individual event. 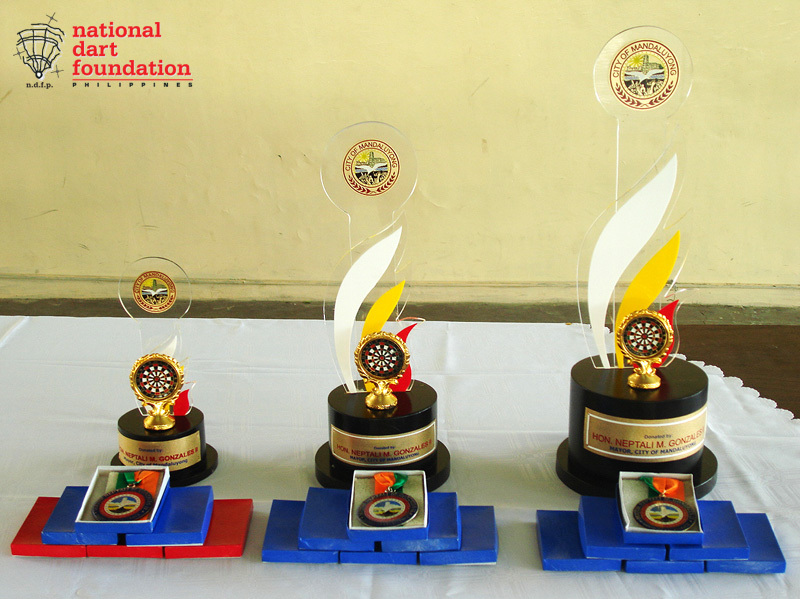 Trophies, medals and sports equipment donated by Honorable Mayor Neptali “Boyet” Gonzales, through Lito Cinco, were awarded to the top three winners in the team event. 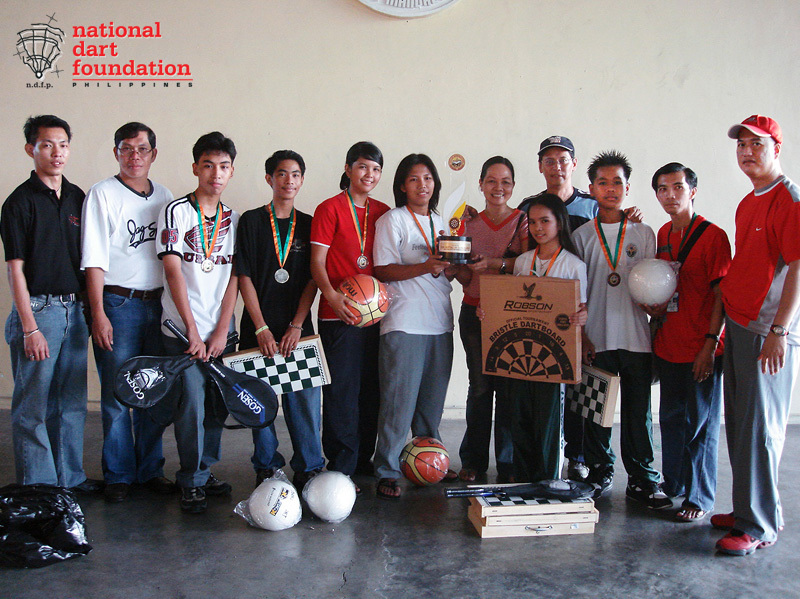 The champion team was also given a dartboard from Robson Sportscraft. 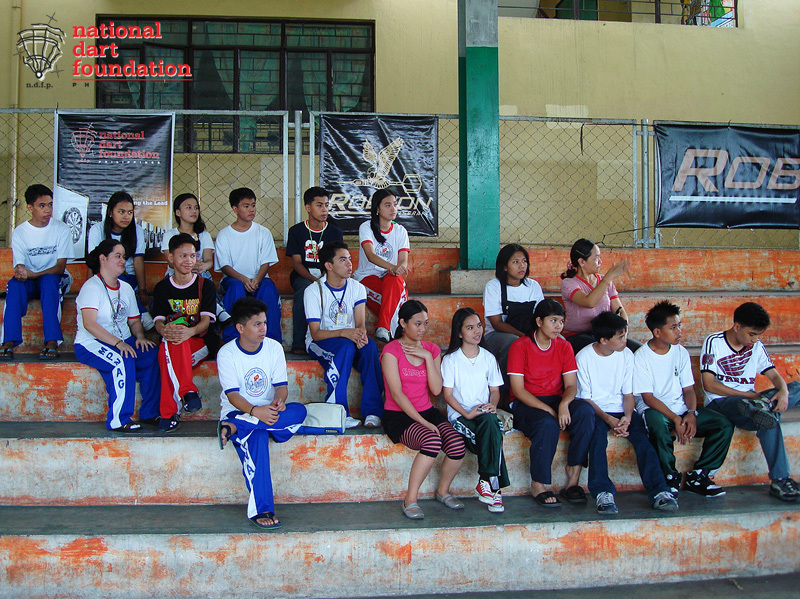 Dart sets and backpacks, also from Robson Sportscraft, were awarded to the male and female champions of the individual event. 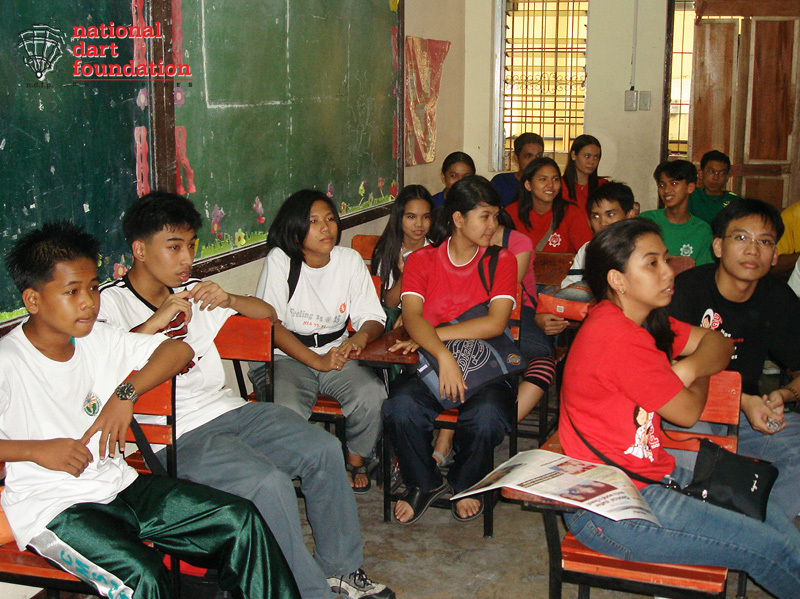 Participants to the 1st Inter-School Dart Tournament are all looking forward to the 2nd inter-school competition. 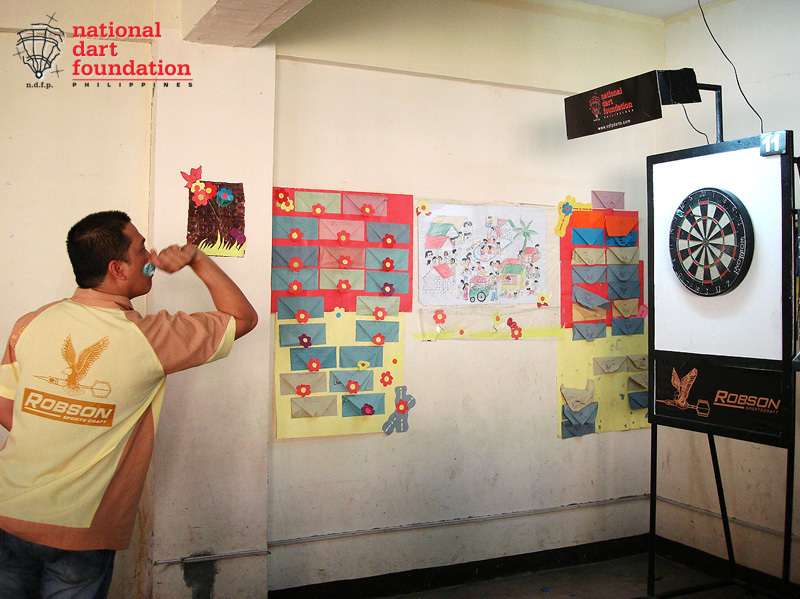 Hopefully, the plans of the school teachers in attendance to form dart clubs in their respective schools would push through, sustaining the interest in darts. 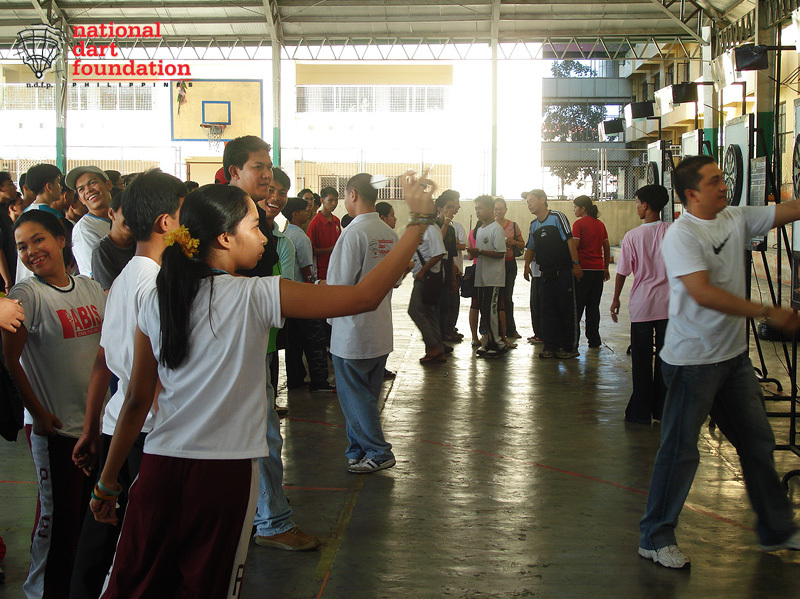 NDFP promised support for the formation of dart clubs with seminars for the school coaches and to continue support for the dart youth programs. 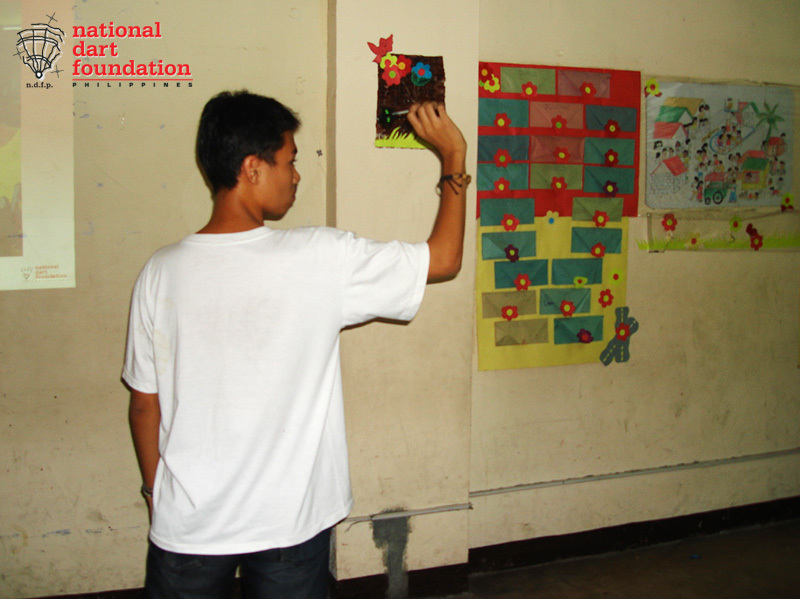 YJAM and NDFP thanks the support of Mataas na Paaralang Neptali A. Gonzales and the coordination of its students and Mr. Ramon Belardo.